Get Her in the Game Ep. 1 - The Pilot | Black Girl Squee! 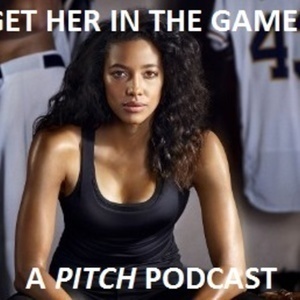 Welcome to Get Her in the Game, a podcast for the TV series, Pitch. Your hosts, Olivia and Didi, introduce you to the characters, the show's style of storytelling, then recap the pilot episode. If you like what you hear and want Pitch to find a new home, listen for ways to #PickUpPitch at the end of the show! Make sure to follow Pitch Street Team on Twitter and Tumblr for news and resources.